I'm looking to install two smokes and a heat alarm in this property and just seeking advice/feedback on placement due to the size of the kitchen. With the scottish regulations normally I go for one heat alarm in the kitchen, one smoke alarm in the hallway and one smoke alarm in the living room. 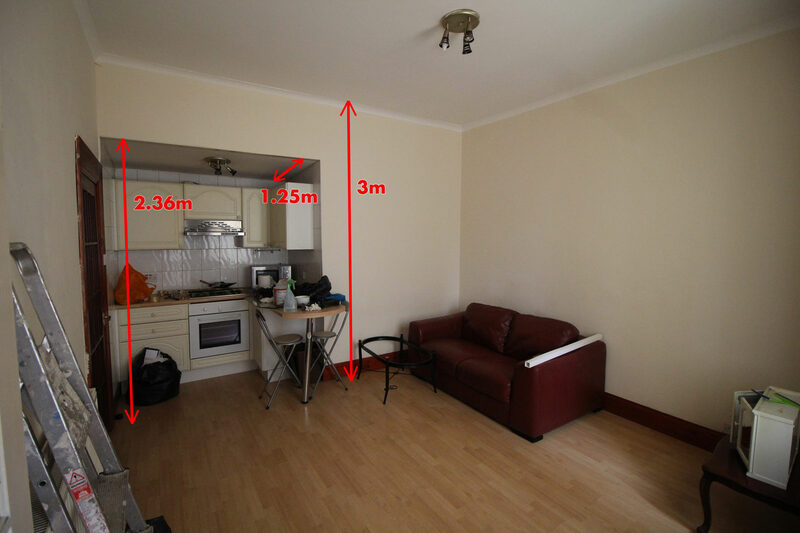 From the picture you'll notice the kitchen is a rather small alcove in the living room with a lowered ceiling; horizontally there's not much length to it either so I'm wondering if a heat alarm may end up to close to the cooker if installed here (at the 2.36m mark). Secondly, being within the living room itself, I'm thinking if I install a smoke alarm in the living room (at the 3m mark) that may end up being set off by regular cooking. I was then considering that I may be better off simply placing the single heat alarm at the 3m mark (closer to the kitchen) and then have the second smoke alarm in the bedroom instead of the living room. For clarity, the kitchen sink along with a few extra cupboards is actually in a separate smaller room just behind the camera position; it's an old building with an odd layout. go off with burnt toast. Could you ask the advice of the local fire brigade? Fire brigade; not a bad idea, I may try shooting them an email if we don't reach a consensus here. sounding, changed to optical and it's never been a problem. I think the fire brigade will call out and give advice, or they used to. Everyone says the fire brigade, but look at it this way. You should always read the manufacturers instructions. "Smoke alarms" are really installed to alert people there is a fire / smoke, when there is no one watching, as the "kitchen" is so small you could choose not to install anything, as anything that does get hot enough to set a heat alarm off will have been noticed by anyone sitting in the lounge long before the heat alarm activates. I would suggest an optical smoke alarm be installed in the mid lounge area, and another in the each bedroom. 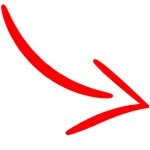 I would also point out they should be interconnected as otherwise it is a waste of money. The idea is that IF the lounge smoke alarm activates the bedroom(s) ones will also activate, waking any one sleeping. Great suggestions on swapping the Ionisation for an Optical in the living room, I'll do that. I'm with you on that one but at this point I'd have to mention that I'm a landlord (in Scotland) and this is a rental property. We've had it drummed into us by now that all properties in the private rental sector (and soon-to-be owner-occupied if I understand correctly) must have Grade D complaint fire detection with at minimum two smokes and one heat; I don't know if the legislation allows for any wiggle room in this regard (particularly with open plan or studio properties) but I'd be interested to hear from any sparks here. I guess that leaves me with the question is placing a heat alarm on the lowered kitchen ceiling too close to the hob? (the manual specifies minimum distances from walls and light fittings but not from cooking appliances). If it's free why not? Am I right in thinking that if it's a rental that alarms have to be interconnected? It was a fair suggestion contacting the fire service jaeger; I've attended landlord training before where the fire service gave a lecture on fire safety. They were also a good resource a few years back on clarifying the issue of how mains powered alarms should be wired; some literature was adamant that alarms should be on their own individual circuit while elsewhere (and I think most sparks would agree) it's better practice to have alarms connected to a lighting circuit so residents have a visual clue of when the breaker may have tripped. And yes the alarms will be interconnected. Grade D alarm if I recall correctly is mains powered; battery backup; interlinked. along the wall up to the ceiling and then along the ceiling. But hey-ho, that's the price of being safe. I suspect it was fire resistant or something. A few years ago our local Fire & Rescue Service were providing a free Fire Alarm fitting service for us 'wrinklies'. I got two and fitted them myself. They were Carp! I think one lasted 12 months and the other not much longer. I replaced them with 'optical' alarms from Screwfix and haven't had a problem since. Admittedly, they are not of the 'hard wired' type but they were/are better than those provided as 'freebies'. I also forgot to mention, I have seen ones installed by the FB held up with double sided sticky pads, need you ask they didn't stay up long. Another point of note (and I have nothing against the fire brigade) but I see it that a lot of people seem to think that the FB know everything to do with fire / fire detection they don't. The fire man who said the CO2 extinguisher was wrong because it had no pressure gauge. Its like asking a police officer how long a person will get for x crime, they don't know, (But they will, and do take great pride in giving you some BS answer, and later laughing about it) they enforce the law, they don't make it or judge it.